So hard to put into words how much I adore this couple. Zainab and I met when she came to me as a guest at Cordie+Christian's wedding last October and asked if I was available for her wedding in April! I was and we set up a time to meet! Cupcakes and Lattes with Zainab and her Mom made for the BEST meeting! I loved listening to the story of how she met Pa once at a Reggae club in 2007 and then again a couple of years later. That night in 2007 they took a photo together unknowingly of what the future would hold! <---- I LOVE THAT!! Pa moved to Minnesota literally right after he started a relationship with Zainab! 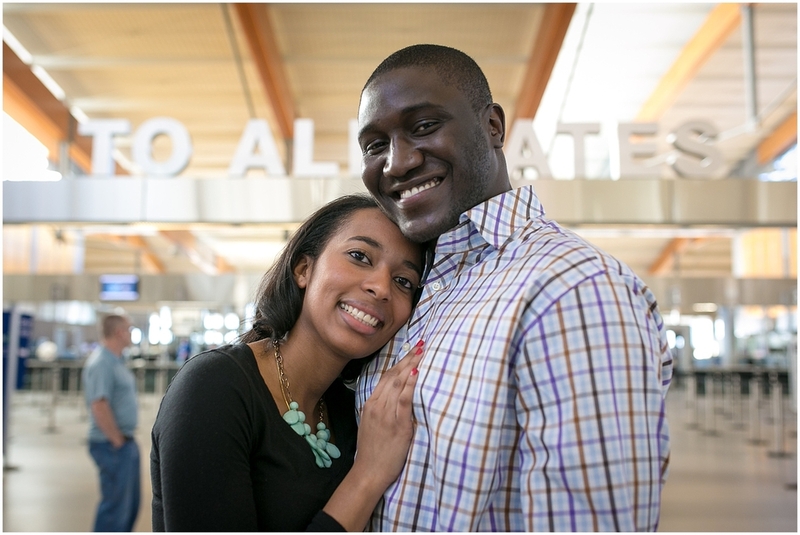 So much of their relationship was spent in airports, RDU to be exact, that it was only fitting to start their engagement session there! Then we had some fun down in City Market! 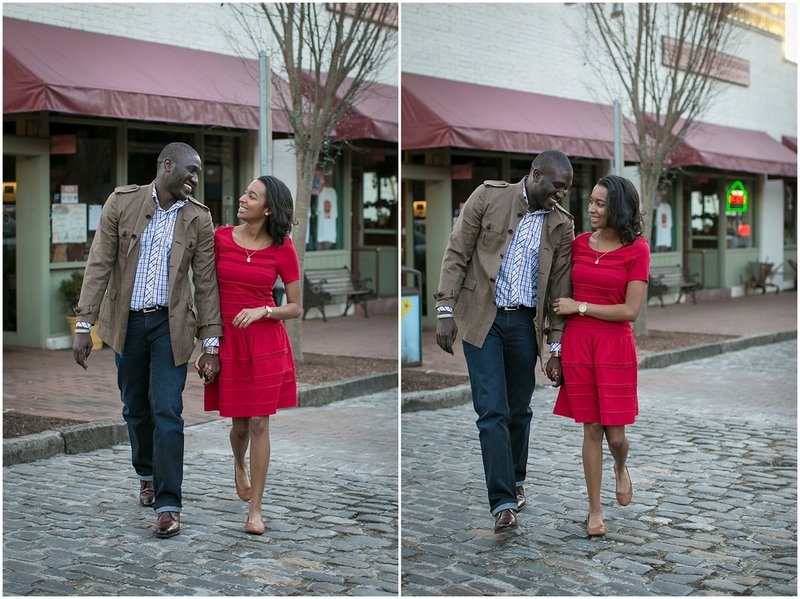 I can not wait to share their wedding with you! It was definitely one of my biggest highlights of 2014! So incredibly honored to have had the chance to work with these two and their amazing friends and family!